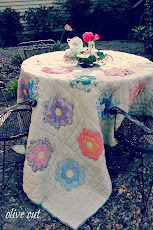 Layering table linens gives a table more interest and besides that it's fun. 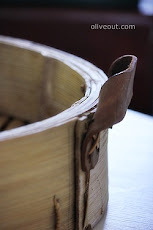 This post is a tease for a tablescape that I will post later in the week. The lace tablecloth was my Aunt Judy's. You can read about her in my Hold Everything Lightly series here. Aunt Judy loved antiques and was quite a character. I am seriously gone over this china, Old Castles of Britain by Johnson Brothers. Brown transferware evokes fall for me. I went back the second day and bought it for half price. I drove home thinking about how to photograph it. That's when you know you are a nutty blogger I suppose. 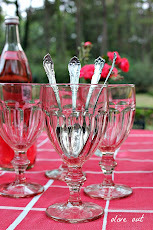 These charming burlap flatware holders (I have four) were won by me at Amy's blog All things Home. They were made by Amy's friend Kim who has an Etsy shop. Kim was so sweet to work with. You can visit her at Sew Cute Creations by Kim. She makes pretty pillows and wreaths too. Thanks bunches Kim and Amy. 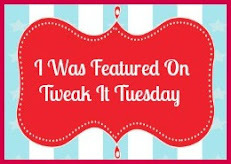 Please come back for my next post, on Monday, for the full Tablescape. By then I shall have edited the images. Why I take a hundred photos of china and pumpkins needs some explaining. Shred two 8 oz bars of white Vermont Sharp Cheddar Cheese. Add 4 oz of drained chopped diced pimentos. Add one to two teaspoons of sugar. Add black pepper as desired. Stir in enough mayonnaise to bring it all together (I use less than 1/2 cup). I do not add salt as the cheddar is already salty. You can also top your grilled hamburger with this pimento cheese. I have had this turquoise piece of McCoy pottery for so long I do not remember where I bought it. Or what I paid for it. Which is unusual for me as I normally remember both. new and cheap but on that day I found a guy with McCoy. This piece is fragile because the lip is cracked. Because of that I got a good price for it. It has a bird on the front side. I have several other McCoy pieces I will save for another time. These two are favorites of mine. Linking@A Favorite Thing Saturday at Mockingbird Hill Cottage with Claudia. Joe went to an estate sale without me two weekends ago. He knows I adore vintage linens. He bought them without having any actual knowledge of vintage linens. The above tablecloth was in perfect condition. He may have paid a bit too much but that is fine. Monogrammed damask napkins with the letter "D". Joe does know that I do not care what initials are on them. He also bought four embroidered crocheted edge pillow cases that I have yet to iron. They are lovely and thoughtful presents from my darling Joe. their way to the coffee table. The rather ghostly appearance of the sofa is thanks to Shelley Puppy. He thinks all sofas belong to him so I threw this old chenille spread over it. Ghost cupcakes that I will never make. I wonder how long the candy will last in the glass jar? The bounty of dogwood berries. Every outdoor photo I take these days has a spider web in it. Our mild winter last year has made for an over abundance of spiders. Which is not a terrible thing because we also have an over abundance of insects. The dogwood trees here are hanging on but all of our five trees have the virus that is killing the American dogwood. I will be sad when we lose them. In Olive Out news I have been attempting to rest for the past few days. Not being able to bend over or exert myself has been incredibly restrictive. I have had more surgical pain than I expected and have spent the last few days reading books and taking pain medication. Because I read a lot of books, fast, in a drunken state I do not remember them. I do not recommend reading novels while drunken. I want to cut grass and pull weeds and it is killing me that I can't. Joe is cutting grass for me today. I can water with the hose so I am over watering I am sure. Today we pack up and travel to the old house where the internet is ever so slow. What fun would life be without challenges? I have had the Staffordshire pitcher on the right for many years. The Old Castles of Britain pitcher on the left I acquired this summer. I also bought the Old Castles of Britain plates and salad plates. One of my near tablescapes may appear soon. Brown transferware says fall to me. This is almost a minimalist buffet for me. I like to layer and layer and did not this time. The cream cornucopias were picked up at a church sale two weeks ago. The rustic urns I bought for a song and will likely fill them with pumpkins. I have yet to leave the house after my surgery. I am a getting stir crazy. Going to the bank, later today, is beginning to sound thrilling. And it is raining buckets. A wall candelabra I bought to resell. It is wicked to photograph not on a wall. Joe wants to keep this mirror. I am inclined to sell it. It resides in the bathroom floor and leans on the wall. Shelley Puppy loves to bark at himself in it. It is heavy. I probably should not have lifted it...oops. This little floral has good fall color and has joined the parade of fall items on the bar. In Olive Out news I am doing quite well three days post op. I will be resting here at the yellow house this week. Might be a swell time for thrift store visits. I can drive starting today. This chubby grey pumpkin has been on the deck for eleven months. A perfect metaphor for my gallbladder which was whisked out yesterday. The surgery time was changed three times. I was moved to first case at 7:30 AM. My surgeons other patients cancelled. We were home by 11 AM. I was intubated for less than one hour but my throat is awfully sore and I cannot talk very well. Joe is happy about that. I am taking a big time narcotic pain pill and feeling more than drunk. Day two post op is always rough. My brain is grey and fuzzy. Making the day grey and fuzzy. I watered the flower garden in my pajamas early this morning and spoke with one of my neighbors. Thankfully by now they are used to my vagaries. Joe is a lovely helper in every way. He is at an estate sale now and is texting me about the goods. He has difficulty with vintage linens when I am not with him. He will have no difficulty with rusty tools however. Fancy, our dear friend, provided us with supper last night. Thanks again for all your thoughts, prayers, and emails. A Limoges Platter with the gold edge chipping off. It is large and I can see a holiday turkey on it. That is if Joe cooks it. with a turkey on it. This French one will be a mighty fine substitute. I paid next to nothing for it. I bought it from the same lady I bought the door Serving Tray from. Have you started planning for Thanksgiving already? See that 1883 label there above? Pioneer Woman gives a pair away once and awhile. I found a new pair just like these for sale now for $585.00. The name of these are Blue Goat Boots. They are my size exactly. I probably should sell them but sometimes you should treat yourself. This time that is what I am going to do. If they are knock offs do not tell me. They fall into the category of My-Best-Find-Ever. In Olive Out news today is my baby sisters birthday and I am taking her out for lunch. I call her Terrible T.
She is sixteen years younger than me and I am just about her second mother. My gallbladder is being whisked out on Friday and then we get back to our normally abnormal schedule. Thank you for all your thoughts and prayers because I am ready to feel better. this weekend, at a garage sale. These would be easy to make but for $8.00 this was a good deal. at a yard sale by my SIL. The candles were .25 cents at an estate sale. The new linen tea towel was $2.00 at an estate sale. the consignment store I consign at. Pumpkins will be finding their way on the table soon. In Olive Out news we had house guests this weekend. We went to a local arts and crafts fair and to Saturday garage sales. I cooked once.I did link to a couple of parties and did not comment a lot. Y'all should smack me. In a couple of hours I go see the general surgeon about my surgery. Joe and I visited these porches last year. on the banks of the Savannah River. The first porch is my favorite. It is ordinary yet lovely in it's simplicity.